A key feature in getting the most out of your time at any online casino is to take advantage of any bonuses that come your way. So, make sure you do! Whether it’s online slots you fancy, the challenge of sports betting or the mind games of poker, Mr Green always has plenty of bonuses on offer for you. A new casino customer can double their money straight away, up to 100€, when making that first deposit. And they can then get 200 free spins on top of that. Sports fans can claim 2x 10€ Free Sports Bets just for placing a 20€ wager at odds of 2.0 or higher. There are also plenty more free spins on our thrilling slots to enjoy after claiming the welcome offer. Which Casino bonuses are best? They all have their merits and come in different shapes and sizes. That could be anything from a bonus having few or no wagering requirements to those which are just extra funds for you to use to bet with. There are plenty of casino bonuses on offer these days. And you don’t have to accept the first one that comes your way. Take your time, do the maths, choose the one that offers you the best value. Do take the ones that are just free cash or free spins that are offered to you, as there’s no downside. There are plenty of others you can take advantage of, though. Generally available at both sportsbooks and casinos, the welcome bonus is a reward for players who are opening a new account. A welcome bonus generally gives you cash to play with. That could be as a reward for making a deposit where they will give you the same amount as a bonus to what you deposited e.g. deposit 100€, get 100€ as a bonus. Other times it’s in the form of free funds, so you can try out games without having to risk your own money. Free bets and free spins are a no-lose situation for you because generally you don’t have to risk anything in order to get them. They’ll often have wagering (or rollover) requirements attached to them but they do what they say on the tin: they’re ‘free’ so you’re not using your own money to play them. Free spins are a way of giving you something back or allowing you to try a new slot without risking your own money. If you lose, it wasn’t your cash anyway. If you win, you get to keep it. It’s real cash. Free bets are no different. Usually offered on football and tennis events, they’re a risk-free way of you striking a sports bet. If when you log in, there’s one waiting for you, make sure you use it. Given the competitive nature of this business, you sometimes see this type of bonus where you’re not even required to make a deposit in order to get a bonus. They’re similar to a Welcome Bonus but have the added advantage of you not having to deposit a cent of your own money. Just log into our account, follow the instructions and make sure you claim your free bonus. Given so many players like to use their mobile to bet these days, it’s a good thing Mr Green has such a strong mobile and app product. It’s fast, easy to use, is always with you and a great tool to claim bonuses on. It’s common for ‘mobile only’ bonuses to be kept separate from other online offers you may be given. So, keep an eye on your account via your smartphone or tablet to see if there’s one of these waiting for you. Welcome bonuses aren’t the only ones that allow you to see a deposit matched in the form of a bonus. As an existing customer, you’re often given the chance to claim a bonus when you make your next deposit. So, if you reload with 30€, they might give you another 30€. Just remember that such bonuses will have rollover requirements so make sure you’re aware of them. If the requirement is 3x and you’ve received a 25€ bonus, you’d have to wager 75€ in online bets before you could withdraw the cash. What’s a high-roller? A player who bets with great frequency and usually in large amounts. It always pays to opt in to any high-roller loyalty programmes, especially when it comes to cards, because if you’re going to play a lot anyway you might as well get rewarded for doing so. Rewards could be in the form of cash, prizes, bonuses or even hospitality at sports events. All players are different so find bonuses that are right for you. 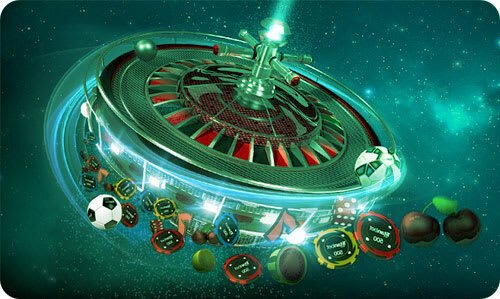 Offers are tailor-made for sports, slots or table games player so pick and choose the ones that suit your personal needs. Opt-in to the offers that are up your street and be aware of the rollover requirements before placing that initial bet, so you know what to expect. 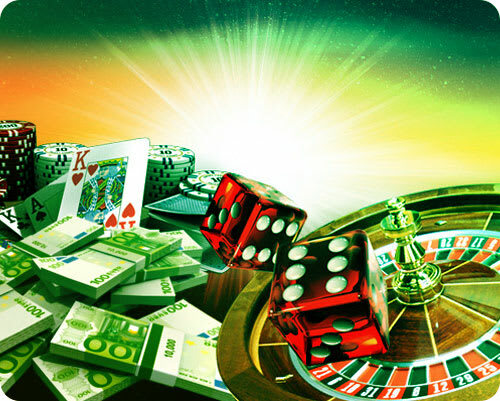 Being aware of available bonuses will boost your enjoyment of playing casino but it’s also important to know about associated terms and conditions relevant to individual bonuses. You can check them out here.